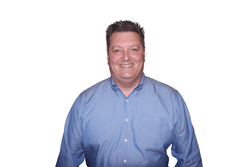 Joining Coastal Shower Doors, with more than 30 years of experience in the industry, is Jeff Dowd. Joining Coastal Shower Doors, with more than 30 years of experience in the industry, is Jeff Dowd. Dowd will serve as the company’s regional sales manager with direct sales responsibility for western and mid-western states, Canada, South and Central America and the Caribbean. A resident of Jacksonville, FL, Dowd will be headquartered at the Coastal Jacksonville offices. Prior to joining the company, he served as vice president of sales and marketing with Southeastern Aluminum Products, Inc., a position he rose to after his start as a customer service representative. Dowd studied computer science and business education at the University of North Florida. He and his wife, Monica, have three children. Founded in 1972, Coastal champions modern design trends, blending functional style into statement pieces that truly define bath spaces. Each groundbreaking collection sets trends, offers chic solutions and stands apart as design elements all their own. Information about Coastal Shower Doors and the company’s array of products can be found at coastalshowerdoors.com.